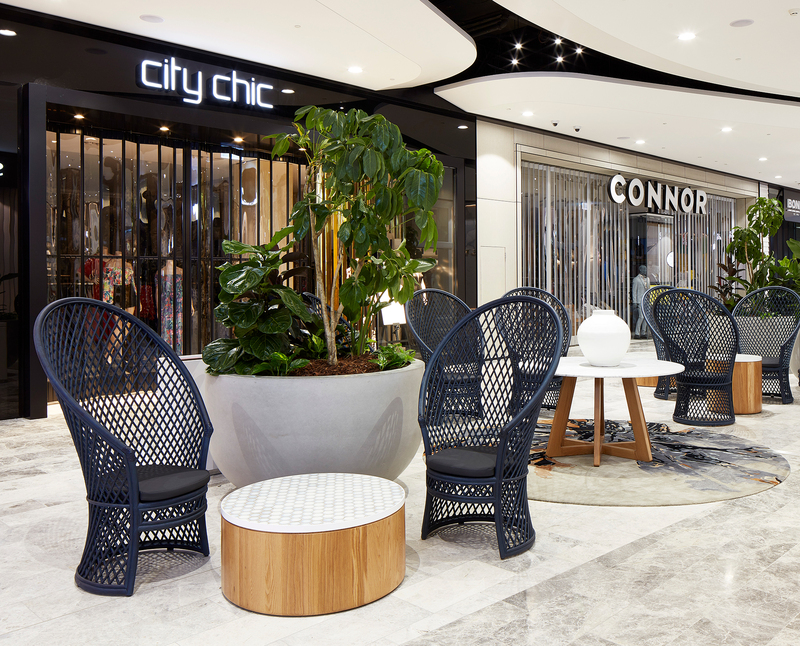 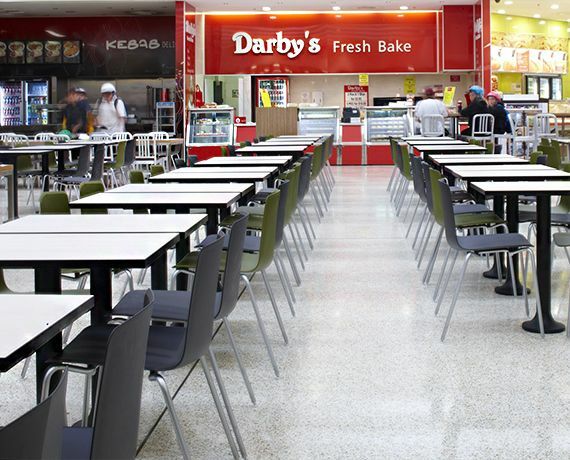 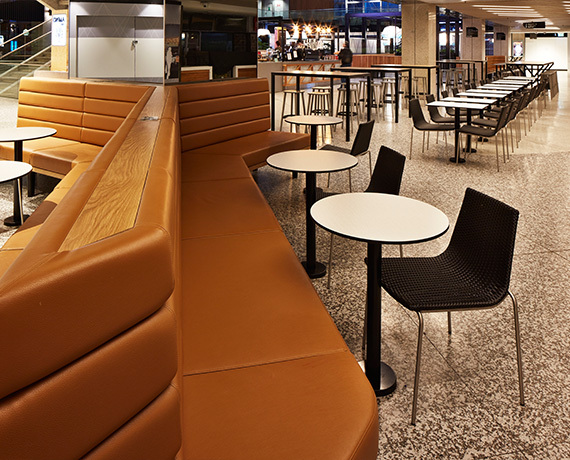 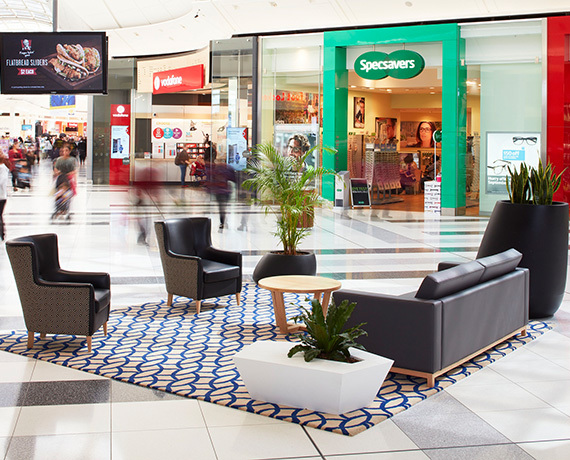 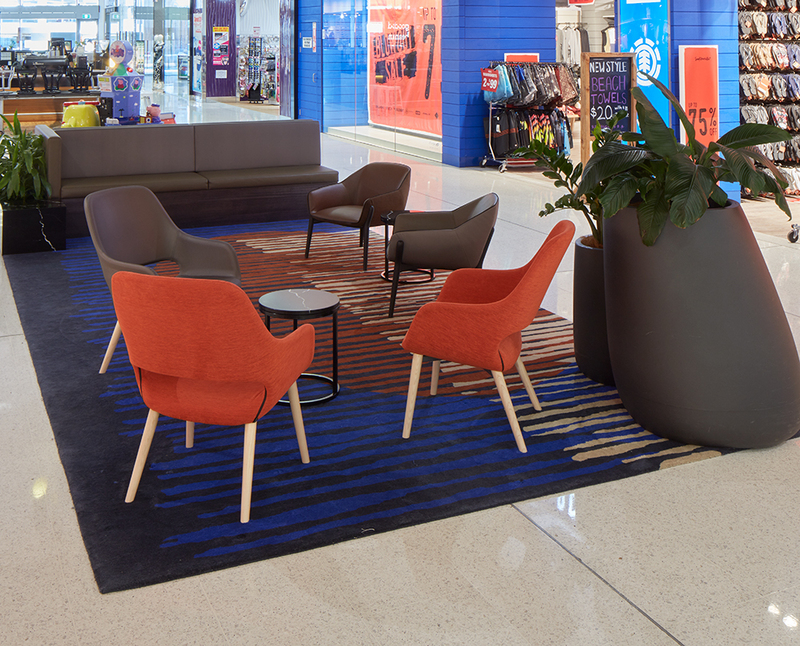 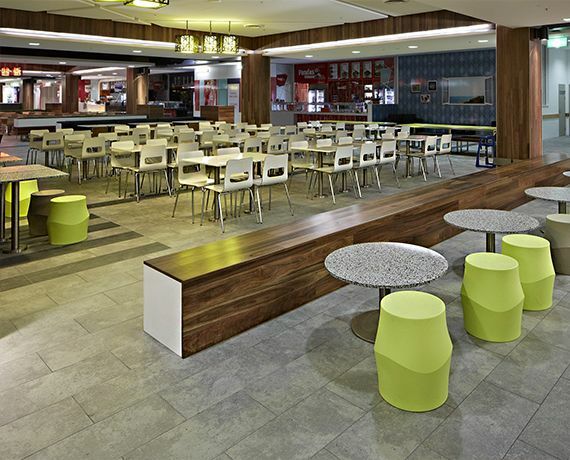 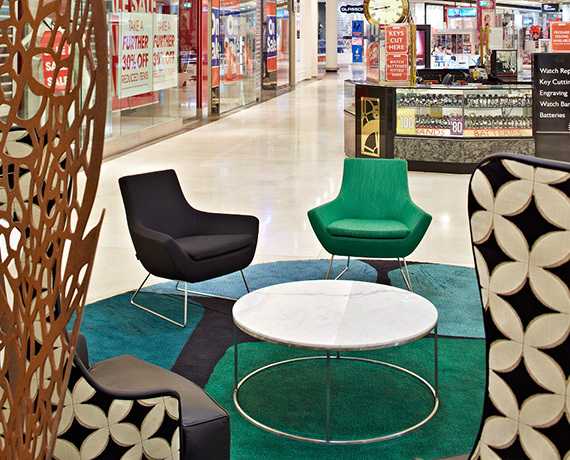 BCI supplied furniture for the refurbishment project at Westfield Southland Shopping Centre which included food court furniture & joinery, mall furniture, rugs, bins, planter pots & more. 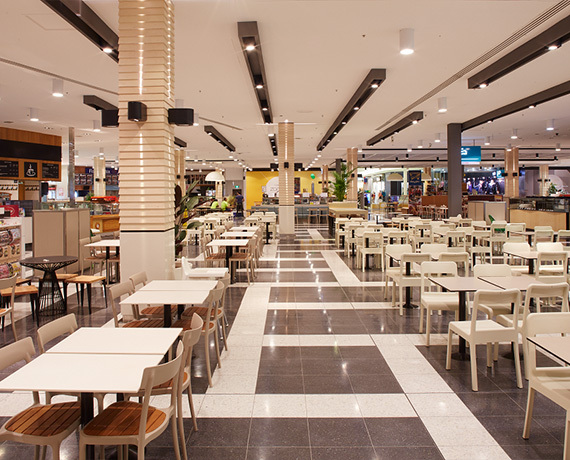 This super regional retail complex has a floor area of 129,180m², making it one of the biggest shopping centres in Australia by size. 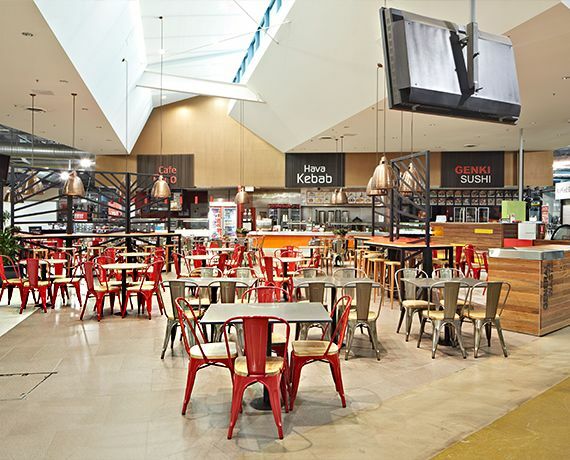 BCI supplied Food court & Mall Furniture / Joinery for the Westfield Fountain Gate Shopping Centre project with outstanding results. 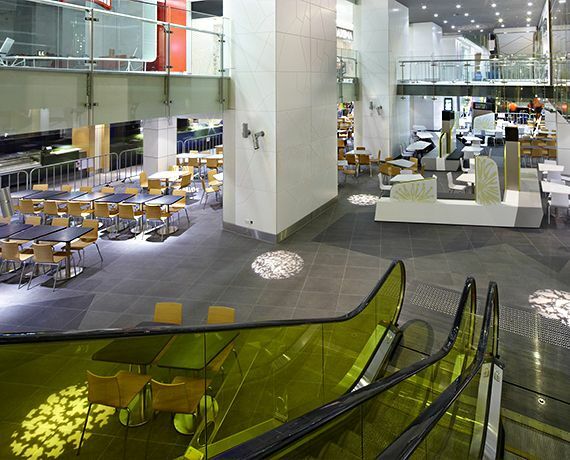 When measured by floor area, it is the second largest shopping centre in Australia and BCI is honoured to have been part of its expansion! 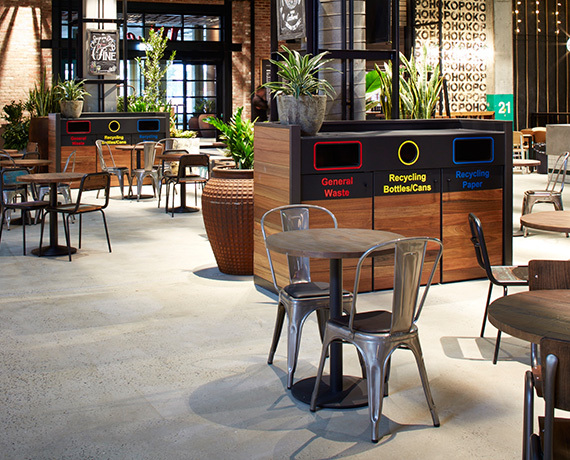 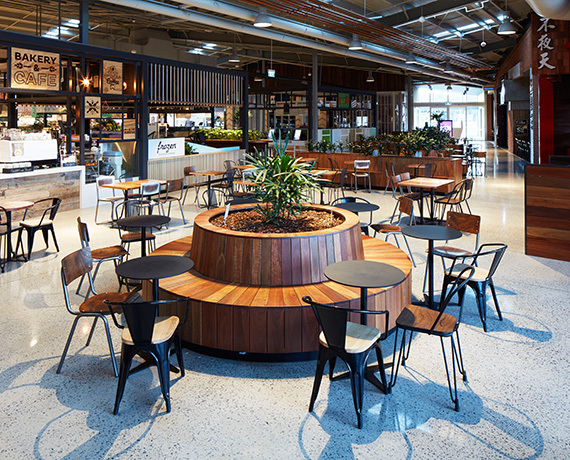 BCI worked with Vicinity Centres to deliver a stunning outcome for this new retail food precinct. 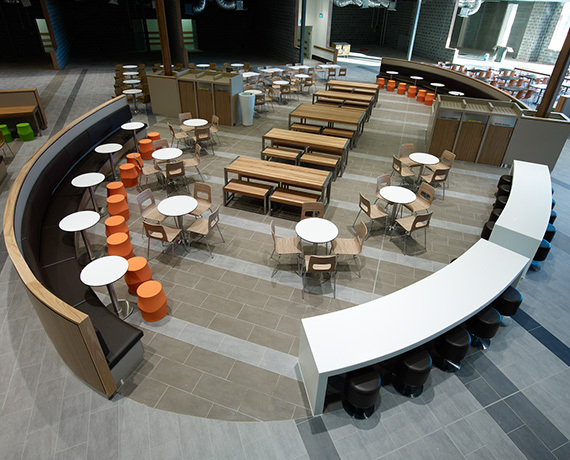 We built walls, installed metal screening, installed waste disposal joinery units, built long lengths of joinery seating, supplied and installed hundreds of chairs, stools, fixed tables, loose tables, large communal tables, large decorative arches with solid brass feature domes etc. 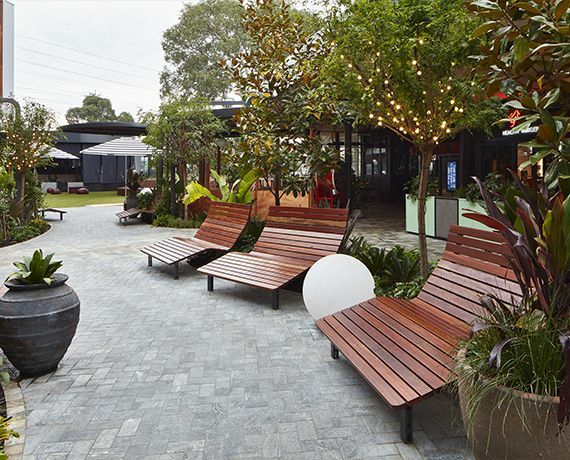 plus more! 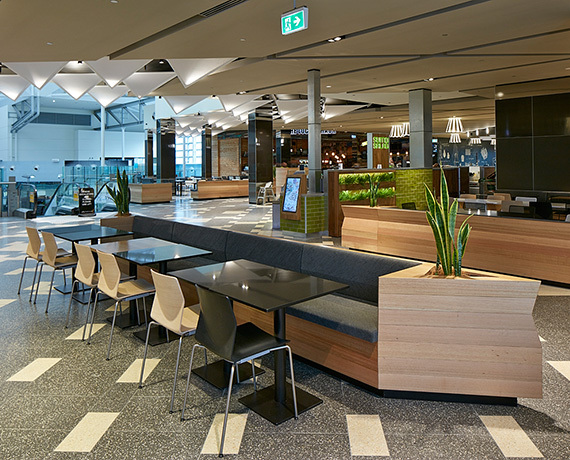 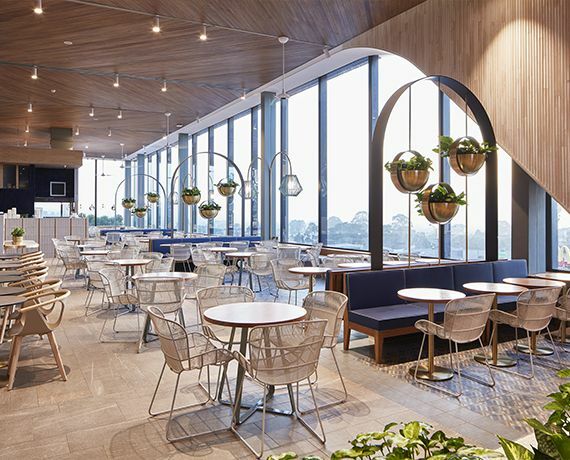 BCI partnered with Cox Architects and BLOC Constructions to deliver a quality furniture package for the refurbished Canberra Central Food court. 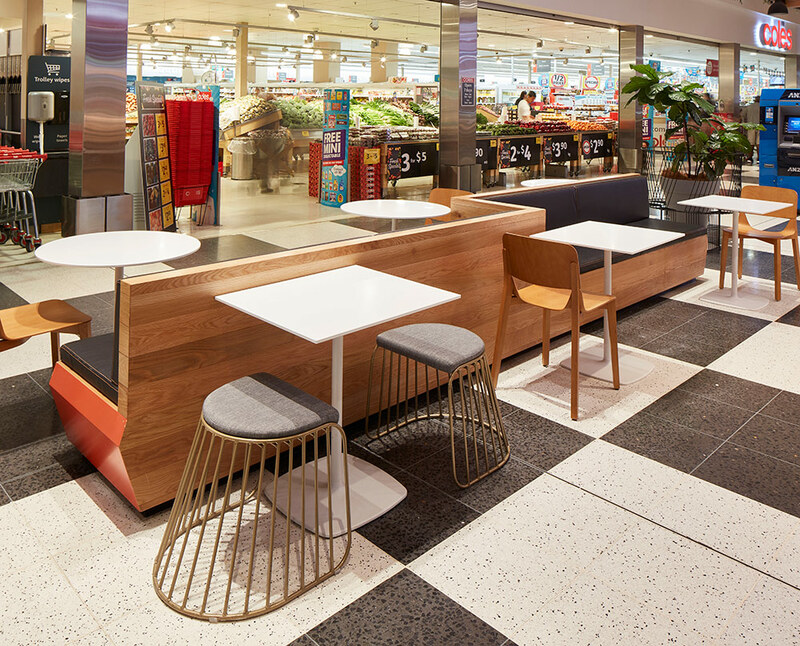 Several styles of European imported chairs featured as well as hundreds of Calacutta marble table tops with solid timber edging – all delivered within project scheduling and specification! 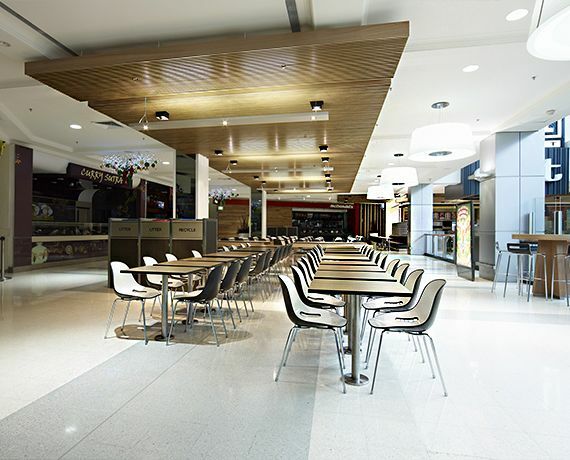 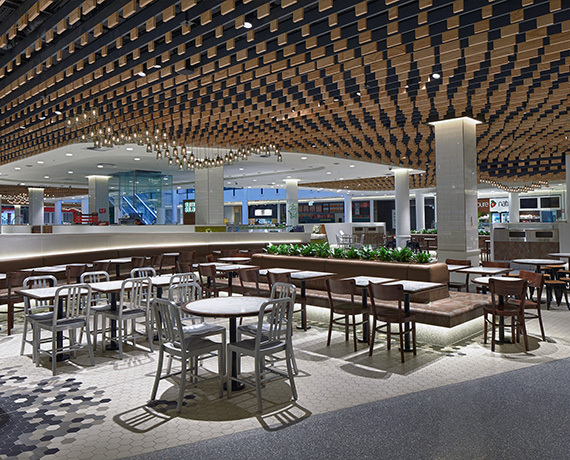 BCi worked with Scentre Group Design & Construct to supply a range of Furniture & Joinery for the Westfield Marion Shopping Centre Food court refurbishment. 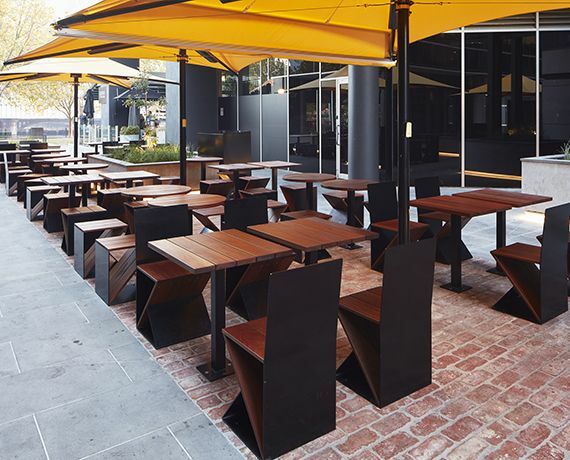 A very industrial-styled theme was desired, and in support of this all the timber used in production was handpicked by BCI’s team from the mill for an outstanding result. 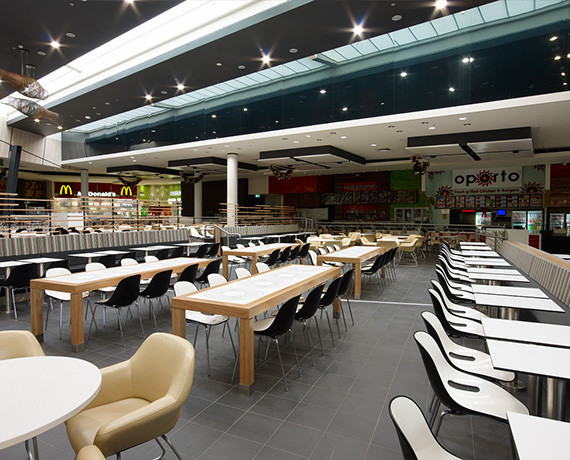 BCi supplied furniture for the "Galleria" refurbishment. 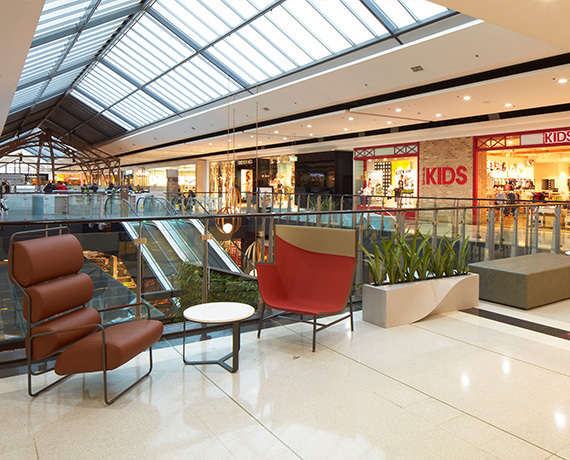 Galleria is situated at the corner of Bourke, Elizabeth and Little Collins Street in Melbourne and is the CBD's most convenient and prominent retail space. 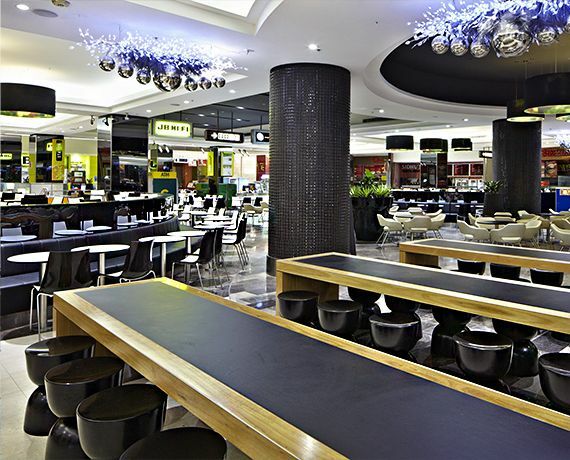 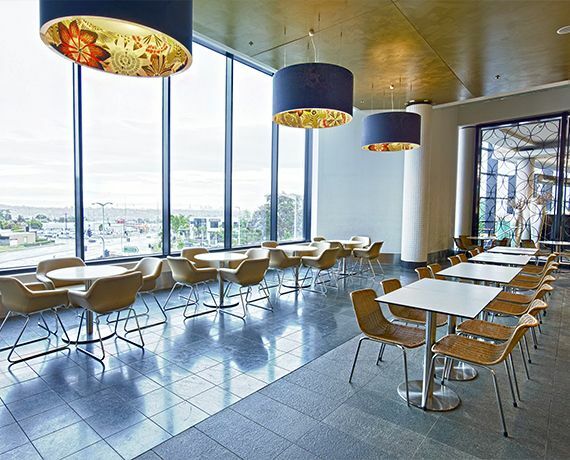 Its key attraction is the light-filled food court which caters to both quick snacks and sit down cafe-style lunches.